Real people, REAL RESULTS! The following are a few of the many people that we have helped reach their ideal weight goals over the years. 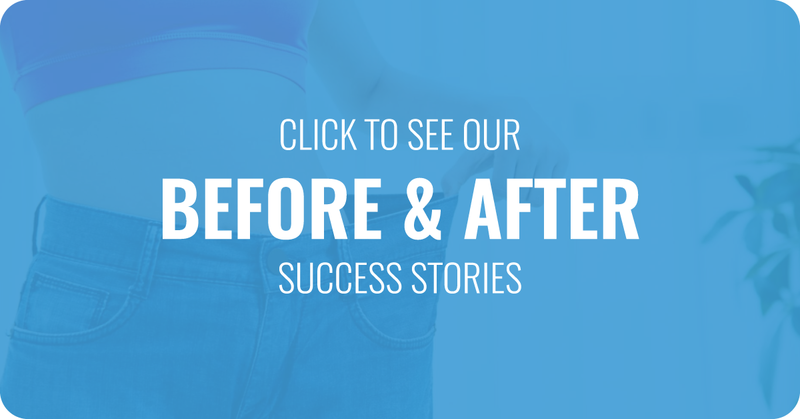 “In the short time I have been attending Professional Weight Loss Clinic, I have had nothing but success!" -Mark M. and Melissa M.
Patricia Williams didn’t like the person she saw in the mirror. She decided it was time to make a change in her life if she wanted to get serious about losing weight. She was always trying over the counter products from supplement stores. Her weight seemed to fluctuate and she couldn’t keep herself on any one regiment. A friend of Patricia’s, that had success losing weight and keeping it off, recommended to Patricia that she reach out to Professional Weight Loss Clinic, the very people who had helped her. Patricia took her friend’s advice and scheduled herself an appointment. Once at the Hammond, LA office, she met with the staff and had a consultation with their in-house physician. She scheduled herself an appointment. Once at the Hammond, LA office, she met with the staff and had a consultation with their in-house physician. Patricia told him her situation and the specific goals she had for her weight loss mission. Professional Weight Loss Clinic laid out for her a customized plan that would help keep her on track and show steady results. Regular visits were scheduled to track Patricia's process and continually motivate her through this journey. Patricia worked hard to follow her plan which consisted of a guideline on what to eat and when, as well as, an exercise regiment. She was thrilled with how simple this plan was to follow. Professional Weight Loss Clinic’s idea is to make losing weight as easy as it can be for you by creating guides that don't make you feel like your dieting at all. Patricia continued on with her recommended regiment and the results spoke for themselves. She thoroughly enjoyed her visits back to the clinic for updates and evaluations and thought the entire staff was friendly and encouraging during her journey. Patricia succeeded in her quest with the help of Professional Weight Loss Clinic, and she continues to consult with them anytime she sets a new goal for herself. She knows the professionals at the clinic will provide her with an updated plan to account for her new body and her new lifestyle. She thinks anyone can succeed with the help of Professional Weight Loss Clinic and highly recommends them to anyone that is ready to start living healthier and shedding pounds. As a new mom, Elizabeth was having trouble keeping the weight from her pregnancy off. She tried the latest diet fads and popular trends, but only ever experienced short term success. This made her want more than just a quick fix. She was looking for a lifestyle change. Elizabeth chose Professional Weight Loss Clinic as a way to try medication as an accessory to a weight loss plan. After a consultation with the professional staff at Professional Weight Loss Clinic, Elizabeth realized how much more they had to offer beyond just the medications. Through a plan meant to achieve better diet choices and portion control, she struggled initially with the changes she was making. Once her body grew accustomed to her new regimen, things became much easier. Professional Weight Loss Clinic’s plan helped Elizabeth not only lose weight, but keep it off. It also gave her a new, healthier lifestyle that she will benefit from for years to come. Elizabeth is still working toward her dream weight, and credits Professional Weight Loss Clinic with making her feel confident in her own skin. Call Professional Weight Loss Clinic to schedule an appointment!